This is a dress I made last summer. The pattern came free with a magazine. Despite some misgivings I decided to have a go at making it. However, I should have heeded the warning on the packet. “Easy” is usually a synonym for “completely shapeless and won’t fit. You might get away with it if you are stick thin but if you are a bit chunky, forget it”. I am definitely on the chunky side and there was no getting away from the fact that the finished dress looked like a sack. I made a little belt but it still looked dreadful. It was utterly shapeless and the facings wouldn’t behave. I pressed them the right way and understitched them, but it made no difference at all. I do not like having clothes in my wardrobe that I do not wear because it is an inefficient use of space. So I set about turning this horrible, shapeless dress and its ridiculous facings into something I could actually wear without needing to cover most of it up with a knee length jumper. 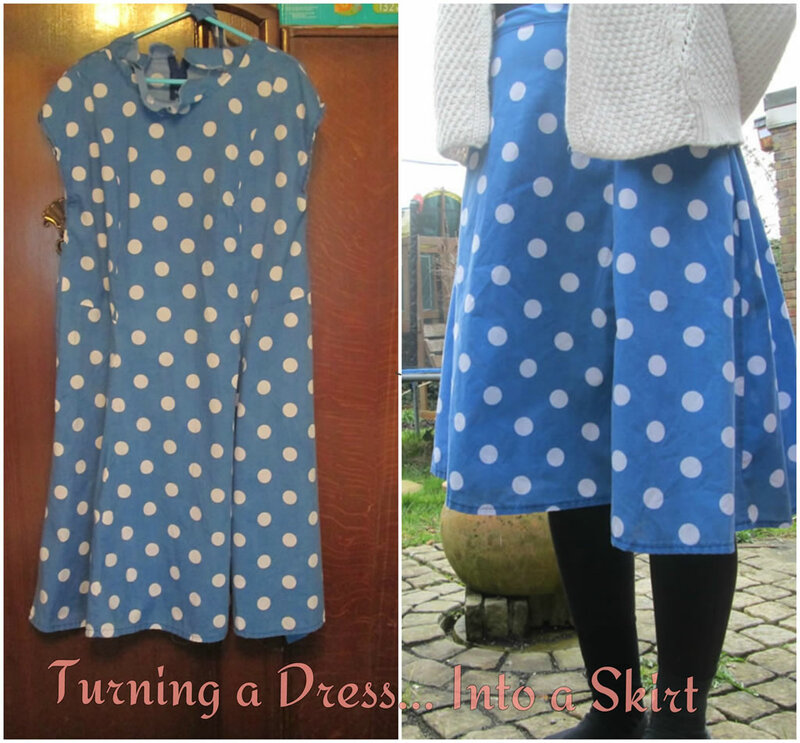 I decided to turn it into a skirt and here is how to do it if you want to do the same! 1. Try the dress on and mark where your waist is. 3. 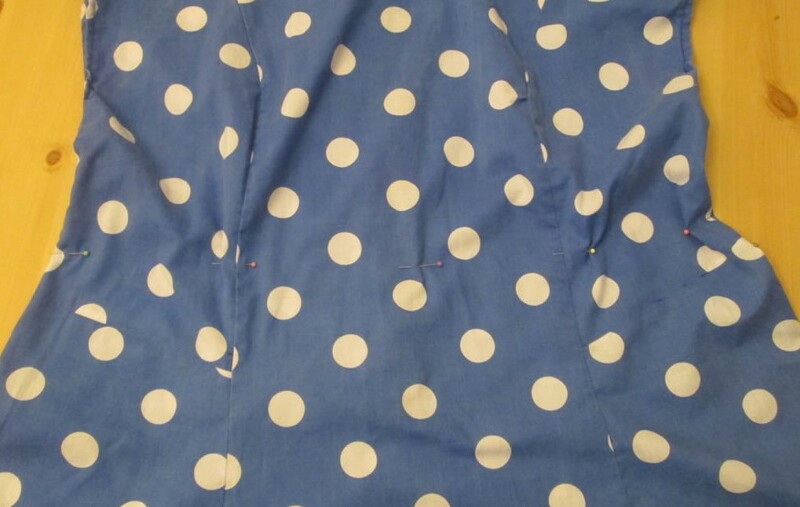 Cut off the top part of the dress along where you marked with the pins. Fold it in half to check that it is symmetrical. 4. Add the zip. The zip I used in the dress was quite long, too long for a skirt. Fortunately I had another, shorter zip in the same colour. Otherwise I would have cut down the original zip I used in the dress. I pinned it over the back seam as this was where the zip was in the dress and some of the seam was still open. Then I tacked it, then sewed it in place. Then unpicked the rest of the back seam to free the zip. You can find a more detailed tutorial in how to put in a zip here! 5. Try the skirt on. If it needs adjusting, you could either gather it or take it in at the sides. I took the sides in as it only need altering a little bit. 6. Make a waistband. It will need to be 8 – 10 cm wide and long enough to go round your waist, plus a bit extra. I used the belt I had made. 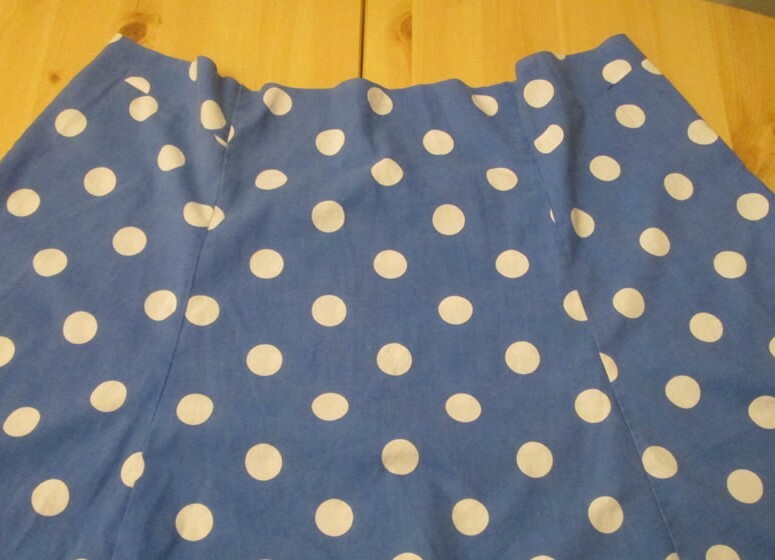 You could use fabric from the top part of the dress or make the waistband out of different fabric altogether. 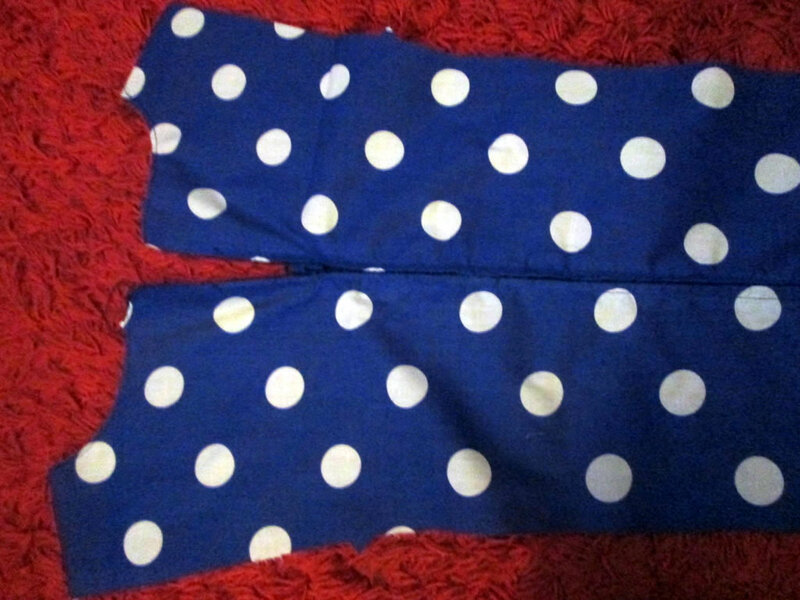 Fold the waistband half lengthways and press. Fold the raw edges into the middle and press again. 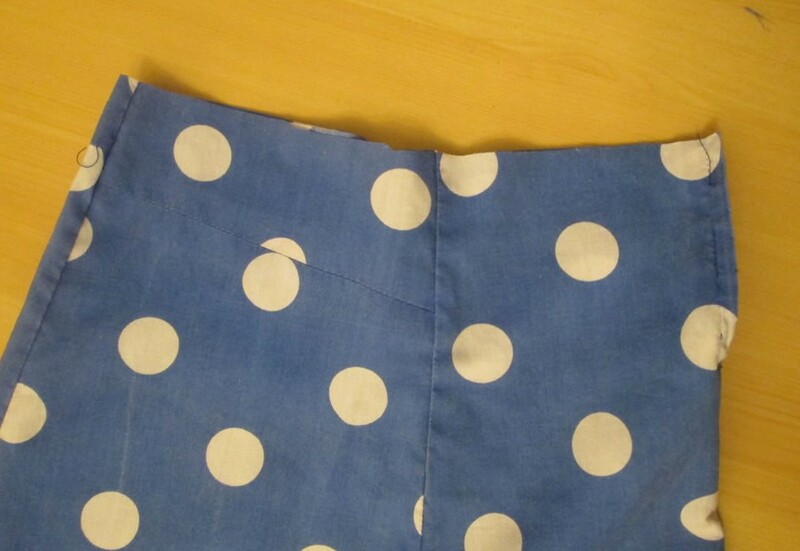 Attach the waistband to the skirt by sewing the raw edge of the waistband to the raw edge of the skirt on the wrong side. 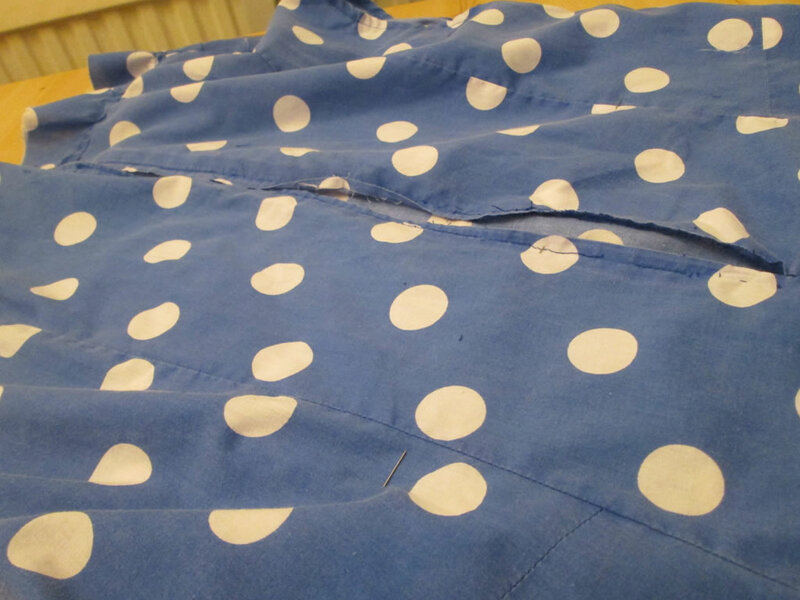 Then fold the waistband over and top stitch all the way round, remembering to tuck the raw edges at the ends underneath. Sewing your own clothes is fab. I have been making stuff for myself since I was ten years old. 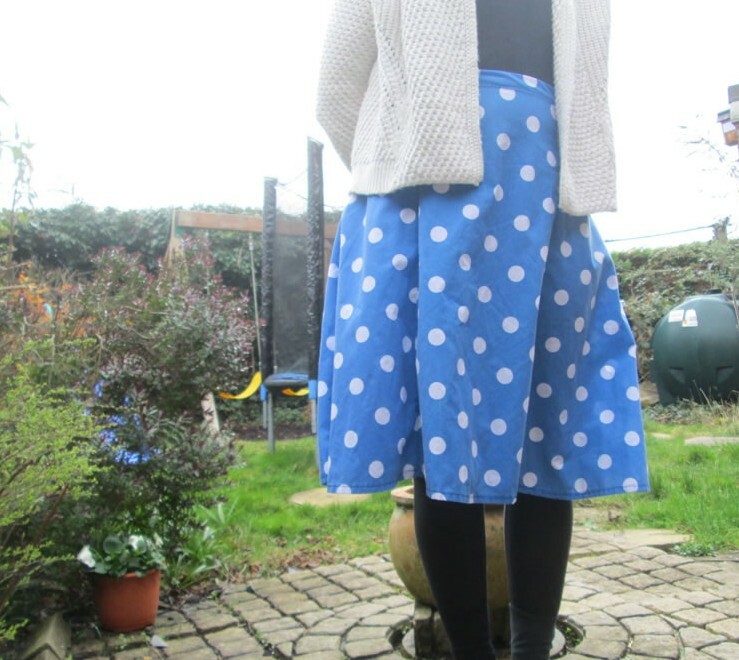 The first thing I made was a skirt and I have not looked back. I love having something that nobody else has, in a style I like and in a fabric and a colour that I chose, and that fits properly. And I have fun in the process of making it! When I started writing this post, I had planned for 10 tips. 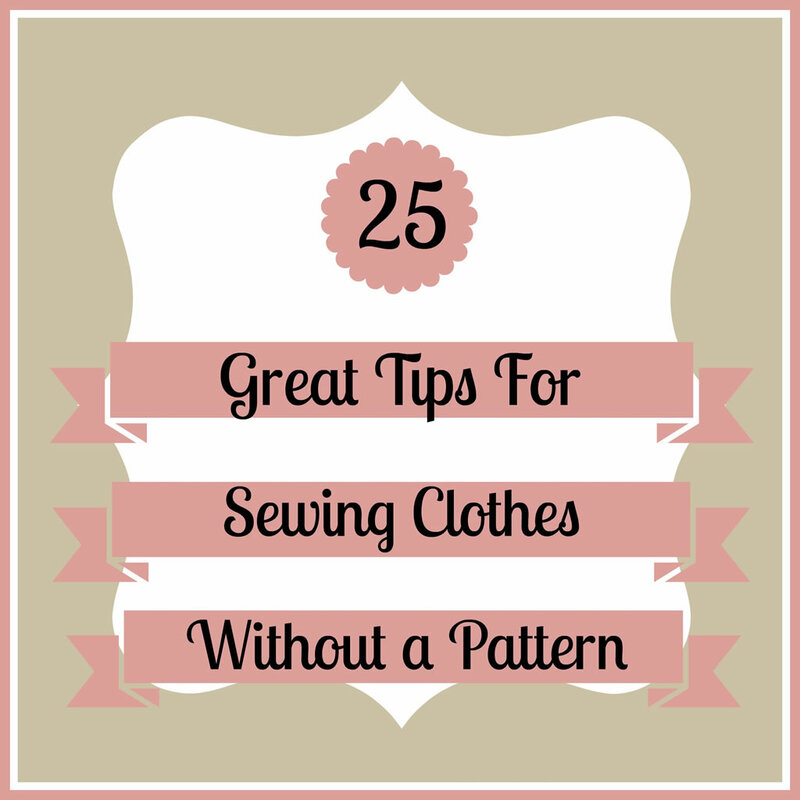 However, I thought of so many I ended up with 25 great tips for sewing clothes without a pattern! 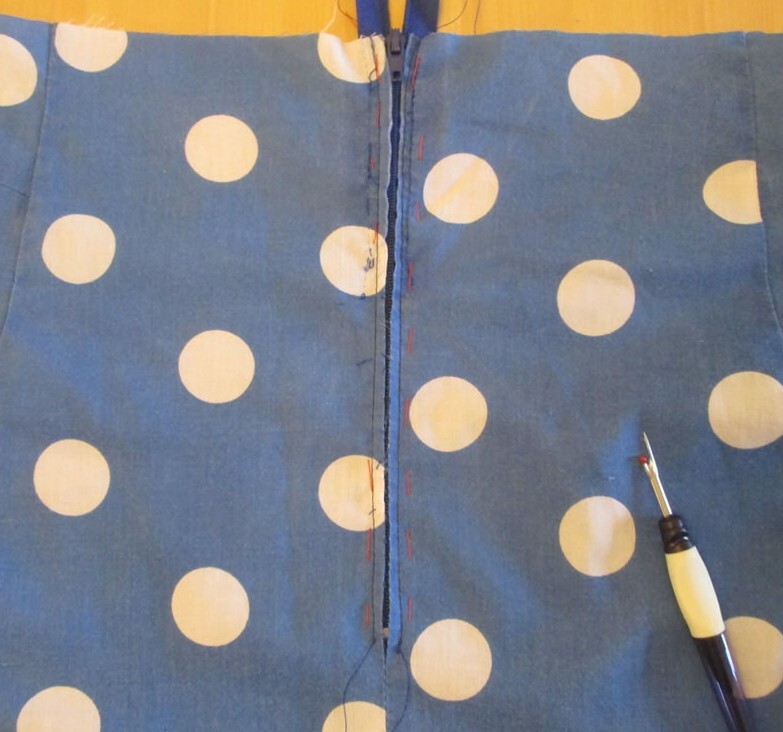 These tips for sewing your own clothes is what I have learnt from doing it myself. They are most relevant if you want to make stuff without using a pattern, but they may still be useful to you however you choose to go about your sewing. I have included affiliate links. If you are using a pattern you have bought, check your measurements against those on the back of the packet. The actual sizes often bear little resemblance to clothes you might buy on the high street, so checking the measurements is safest. 2. If you are going to be making your own clothes a lot, it might be worth investing in a tailors’ dummy. An adjustable one is best, however non adjustable ones are cheaper! Another option would be to make your own tailors’ dummy out of duct tape. There are some great tutorials for doing just that on the internet. I found a lovely one at There’s a Dragon in My Art Room. Although Phyl (who wrote it) claims it’s not a tutorial, it kind of is. And it’s a good ‘un. 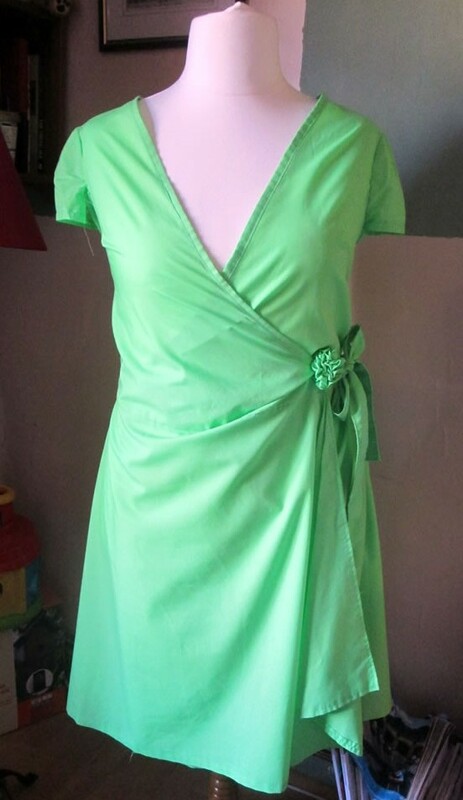 If you don’t want to/ can’t afford it/ don’t have space because you live in a little house that is disappearing under a mountain of fabric, it is possible to make your own clothes without one. 3. The clothes in your wardrobe are a good source of information. Have a look at how they are put together. If you have things that you don’t wear any more, you could take them apart. This will give you a sense of the size and shape of the pieces used to make them. You could even use the pieces as a pattern. 4. Another thing your existing clothes can tell you about is drape. How the fabric drapes depends partly on the fabric and partly on how it has been cut, whether on the grain or on the bias. To determine how the fabric has been cut, look at the way the woven threads run and see whether it stretches and if so, in which direction. Look at the fabric too, what it is made of and its thickness. 5. Make patterns from greaseproof paper, newspaper, pattern paper or old fabric. Pin it to yourself to get an accurate sense of size. 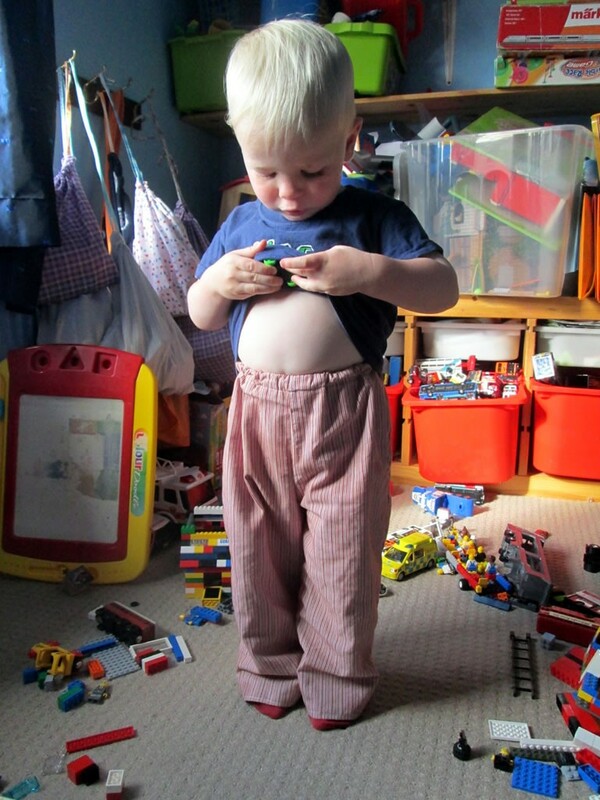 You can also use your existing clothes as patterns, especially if you are willing to take them apart. 6. When designing a garment, keep it simple. If I was going to make something complicated, I’d probably use a commercial pattern. It’s the same with baking: if you know how to make a sponge cake, it’s easy enough to make a chocolate version, or a fruity version, or a lemon and lavender version. Anyway. If you know how clothes are put together in a basic way, it’s easy to make something simple. That’s not to say you can’t make anything fancy, just think of how you can make it look fab in the simplest way possible! 7. Take care when cutting out. When you are sewing your garment up, you will probably be following those edges you cut, so cut as neatly and as accurately as possible. It will make a difference to the finish of your outfit. It is worth shelling out for a decent pair of scissors. These are the ones that I use and they cut through fabric like a hot knife through butter. 8. Iron your fabric before you start. I’m very guilty of not doing this! However, it makes it easier to cut neatly and accurately. See #7 above! 9. Make sure you have enough fabric. It’s really annoying to start cutting out and find that you don’t have enough fabric, then wait around for the postman to bring you some more. My advice is to work out how much you need and check the width of the fabric you are buying as well as the length. 10. When laying out pattern pieces, check the direction of the grain. If you’re not sure, the grain runs parallel with the selvedges. Usually the grain will run vertically in tops and down the centre of skirts and trousers. When cutting out sleeves, the grain will need to run from shoulder to wrist. 11. Allow enough! 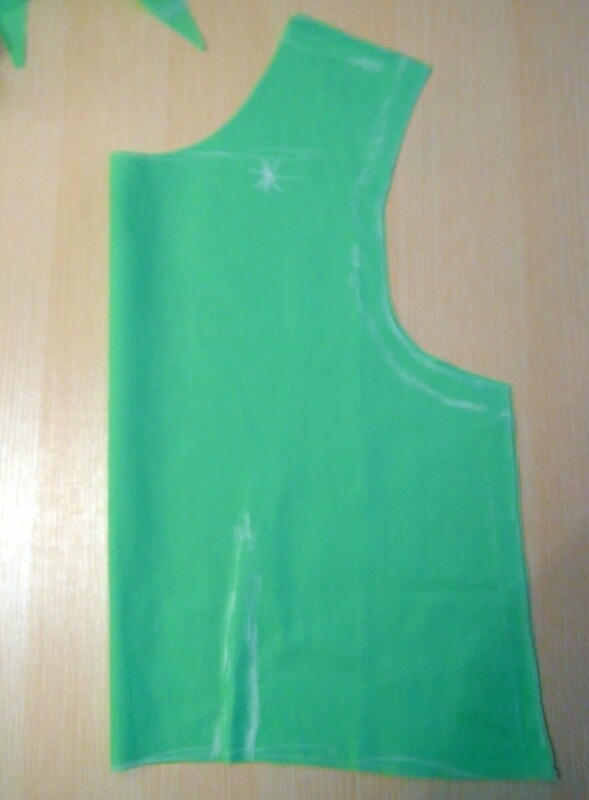 If you are unsure, make your pattern pieces and possibly your seam allowance slightly bigger. It’s easier to make things that are too large smaller than the other war round. 12. 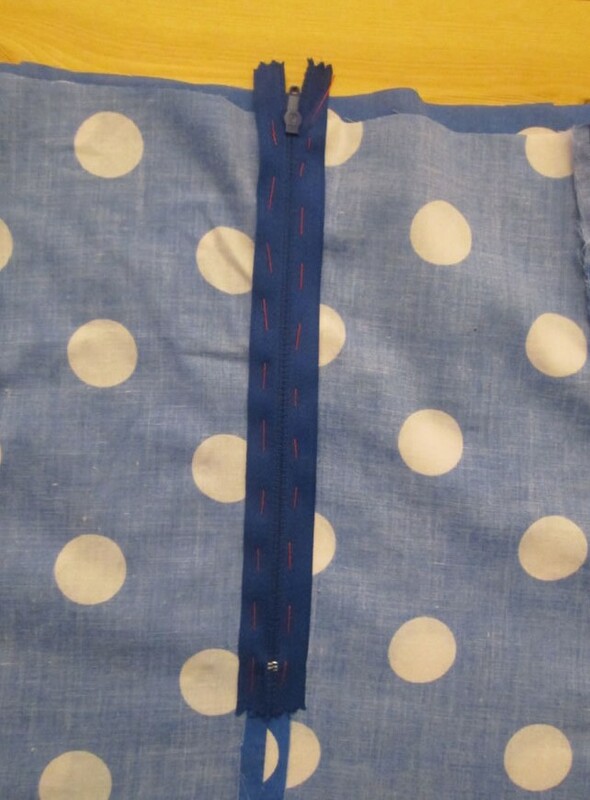 Finish raw edges with a zigzag stitch or an overlocker , or use French seams if the fabric looks like it might fray (you might like to read this post about finishing seams). You don’t want your hard work falling apart the first time you put it through the wash! 13. When choosing fabric, don’t be afraid of using jersey. Generally stretchy and/ or slinky fabric can be a nightmare to work with. However, some jerseys stretch less, making them easier to work with. Look for fabric with a 2 way stretch as it tends to hold its shape better. The advantage of using jersey is that you don’t need to bother with zips or darts because the fabric does that job for you! I made these toddler trousers from an old shirt. 14. Upcycle. Fabric can be expensive, so look around for things that you might use instead. There is a lot of fabric in a man’s shirt for example (as I have said before, that is especially true if the shirt belongs to a large man). There is enough fabric in them to make clothes for small children and, with some imagination, for adults too! Other potentially useful sources include tablecloths and duvet covers. If you don’t have anything suitable at home, raid the charity shops. 15. Check that you are using the most appropriate stitch for your fabric. 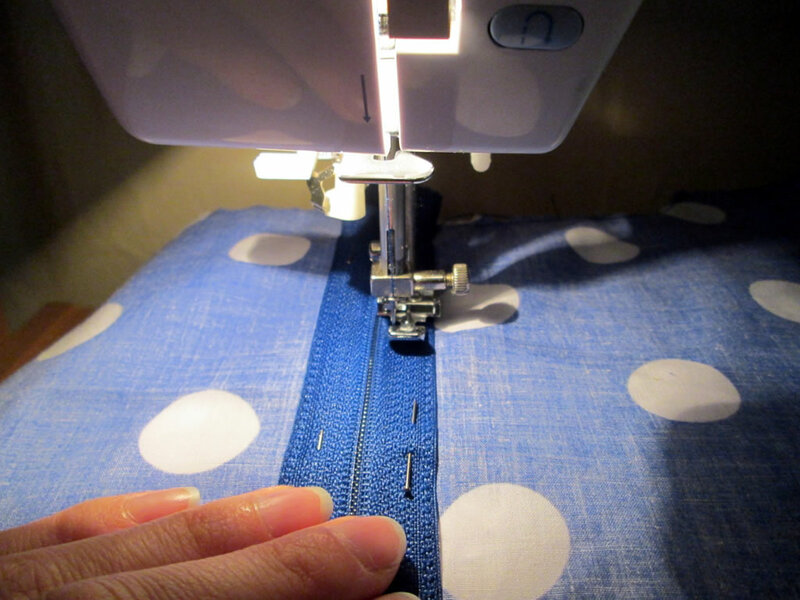 Most decent sewing machines will have a stitch specifically for stretchy fabrics. It looks like a kind of wonky zigzag and it allows the fabric to be sewn without too much stretching or puckering. Also try not to stretch the fabric yourself while sewing. 16. Keep trying it on! Put the garment on inside out and if it needs altering, pin and mark with a pen or a piece of chalk, then adjust it as you need to. 17. Consider using tacking stitches instead of pins, especially for armpits and gathers. It’s no fun being jabbed in the armpit by a pin when you are trying something on. 18. Don’t be afraid of adding a zip. You might get away with not using them sometimes, but sooner or later you’ll probably make something that will need one. It doesn’t have to be difficult! I have a tutorial for adding a zip here. It is the easiest way I have found so far! If you don’t have a zip foot, it is worth buying one as it allows to you to sew closer to the zip, it’s easier and it all ends up looking much neater. Here is a linky for a zip foot. 19. Do not fear darts. These are another potentially scary thing that always seem horribly confusing when following a commercial pattern. All they are is a little bit of fabric taken in in the shape of a triangle to give a thing a bit more shape. If you are making something and it seems a bit shapeless, add some darts and that should do the trick. 20. Trim and press seams as you go. 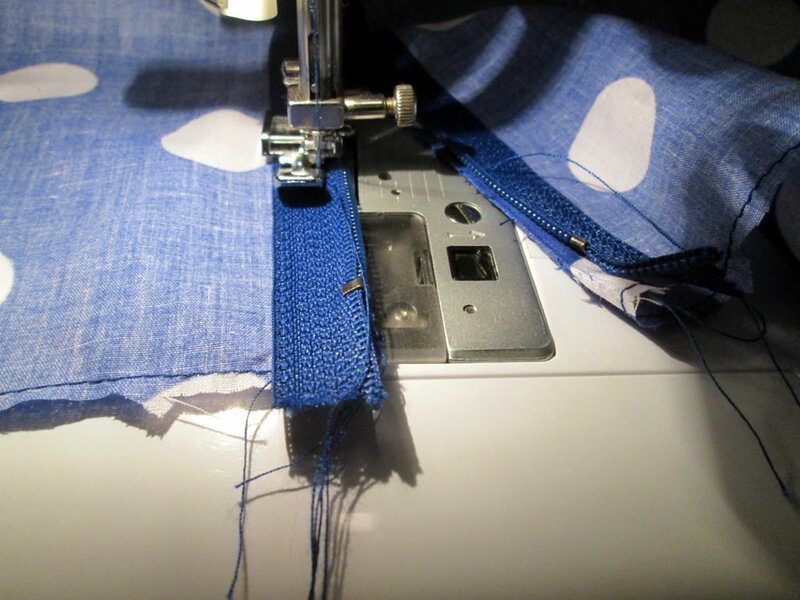 When joining the pieces you will often have to sew over seams. It’s much easier if you have trimmed and pressed them already and your finished outfit will look neater. 21. Clip curves and cut off points. By making a series of small cuts in a curved seam, it will allow the curve to sit flat when you turn the thing the right way out.This is especially important to remember when making trousers. 22. 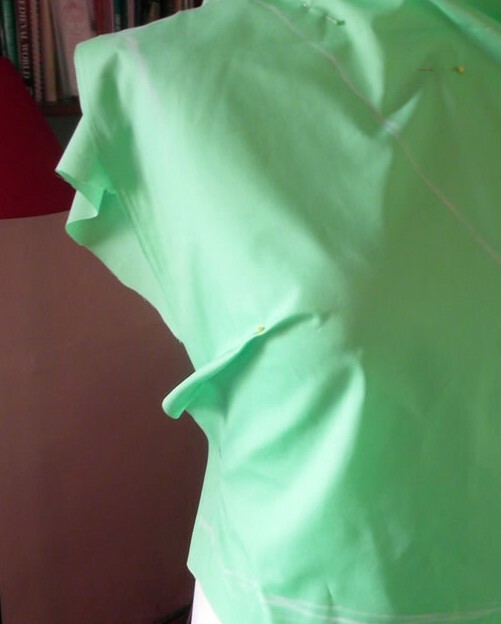 Use bias binding to finish necklines and arm holes. I have trouble with facings. I can never get them to stay on the inside. There is probably something I’m not doing right, but given a choice I’d rather not use them. 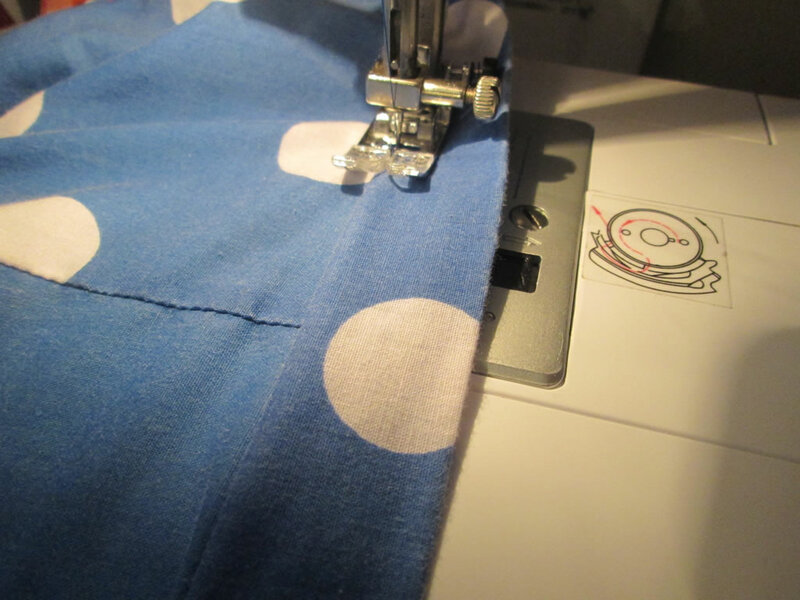 Finishing them with bias binding is very easy and it looks much neater, at least on the stuff I’ve made! You might like to read this post about finishing necklines. 23. Get someone to help you with hems or use a tailors’ dummy . It can be difficult to get them level otherwise. 24. The unpicker is your friend. It’s much quicker than faffing about with a pair of scissors. I keep several handy because I’m always losing them! 25. If it all goes wrong, turn it into something else. 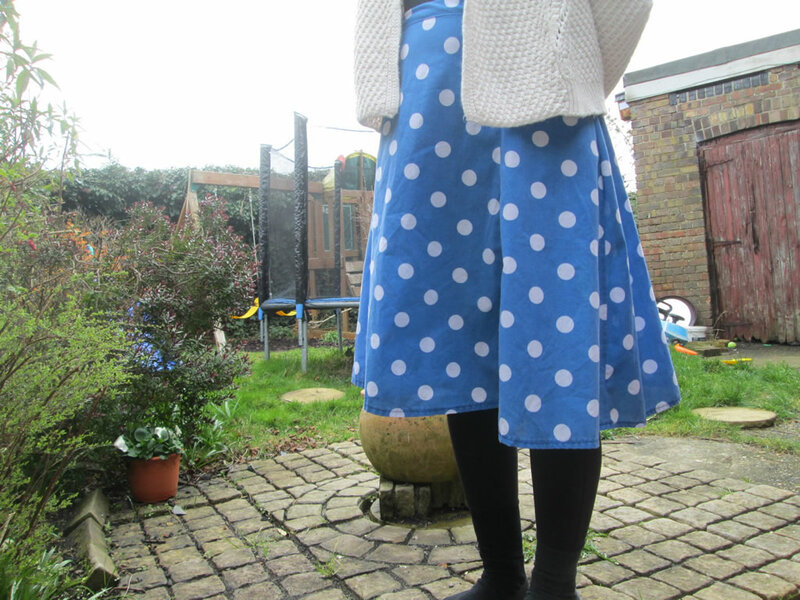 I had a spotty dress that I made from a pattern that came free with a magazine. I checked my measurements and I kept trying it on, but when it was finished it looked awful. It was completely shapeless and the facing would not stay put. I made a belt for it and I wore it a couple of times, but it was awful and I knew I would never wear it again. So I turned it into a skirt! You can read about how I did that here! 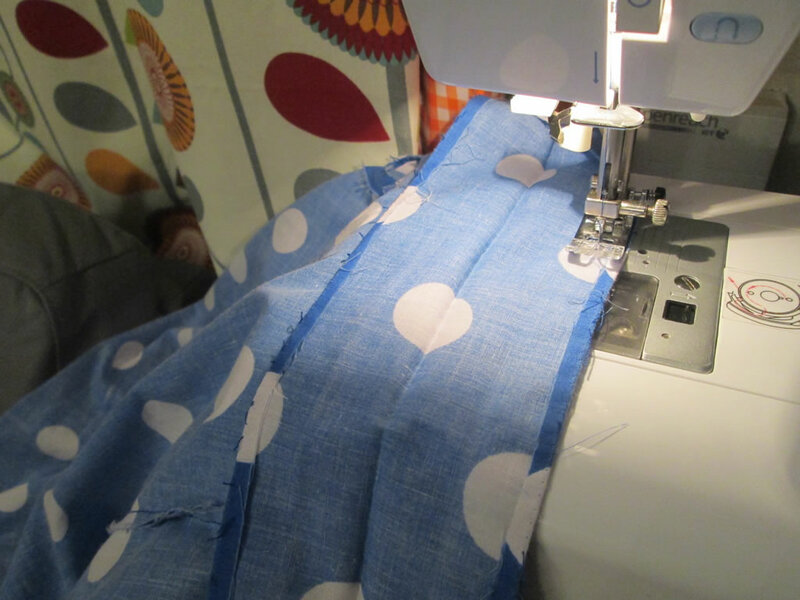 What would your top tip for sewing clothes without a pattern be? PS If you want to sew clothes without using a pattern, you might like my ebook! Having to put a zip into something can really put you off making it. It’s so difficult to know how to do it without messing it up. Where do you start? Should the zip be open or closed? I don’t have a/ can’t find my zip foot. The zippy part keeps getting trapped under the foot and now it looks like a spider has been at my sewing. What on earth should I do about the lining? It’s enough to make you abandon any attempts at putting a zip in and just use buttons instead. Thankfully there is an easy way to put in a zip. If you haven’t discovered it yet, keep reading because all will be made clear! 1. 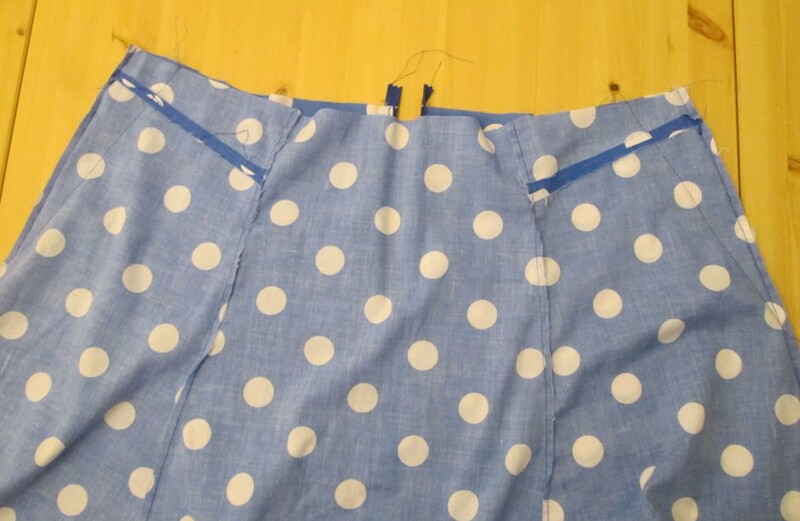 Make your skirt, dress or whatever in your usual way or by following the instructions on the pattern up until the point where you need to put in the zip. 2. If the zip is going into the last seam, put the garment on. Inside out is probably easiest. Pin the seam together. If the seam is at the back, you will need to find somebody to help you unless you are a contortionist. Using a pen, pencil or a piece of chalk, draw along where the pins are. 3. Take the pins out and the garment off. Repin along the line you drew. Sew right along the seam including where the zip is supposed to go. Don’t worry, you won’t be able to get into it at the moment but you soon will! 4. Press the seam flat. Line the zip up face down on the wrong side of the seam line, keeping it closed. Pin in place. The zip needs to be lined up perfectly, or near enough, and this can be tricky to do so keep checking that the zip is lined up with the seam. 5. If you have a zip foot, put it on your sewing machine. If not, don’t worry, just use the normal foot. Line up the zip with the edge of the foot, leaving the top part with the bumpy zippy thing free. Sew down the side of the zip. Repeat for the other side. 6. Check the right side of the seam. If done correctly, there should be two neat rows of stitching on either side of the seam. 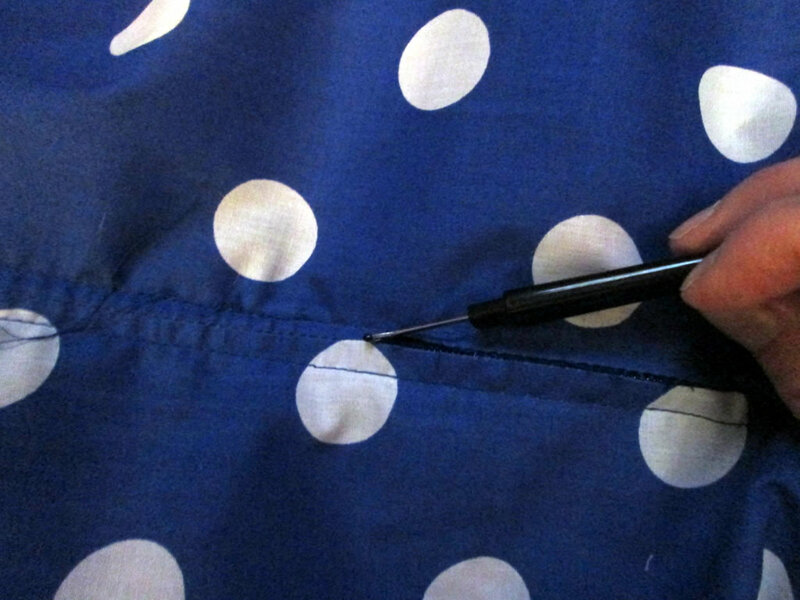 Using a seam ripper (or a pair of scissors if you don’t have one), unpick the part of the seam that is over the zip. 7. 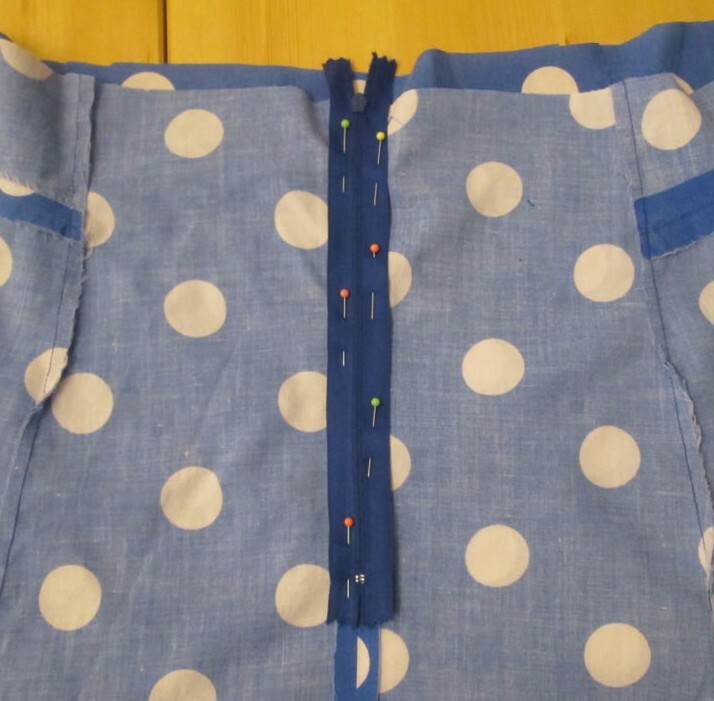 Pull the zippy thing down past where you still need to sew. Pin the rest of the zip and sew in place. If the top of the zip is not quite far up enough, you can use a hook and eye or a little button with a loop to finish it off. If you are making something with a lining, you have two choices. 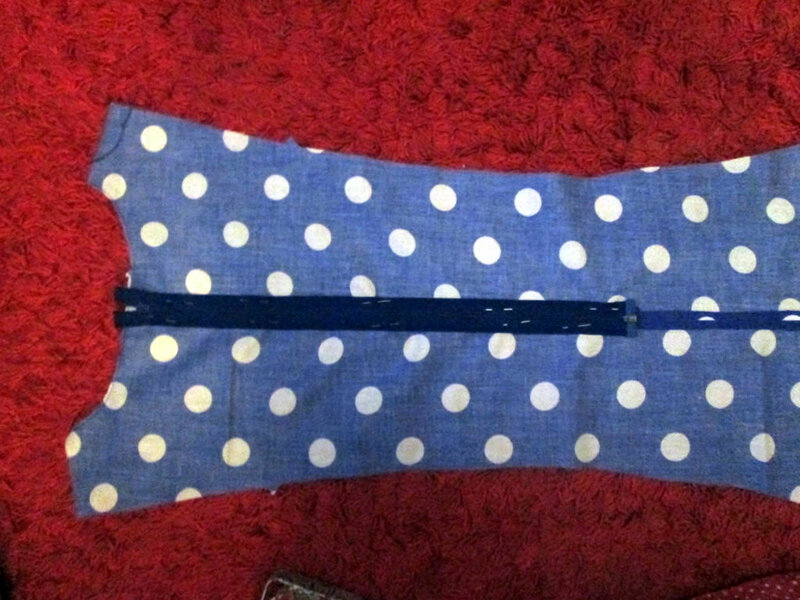 You can either sew the lining in, then put the zip in last, following the instructions above. Or you can follow the instructions as far as Step 4 and tack the zip in, then fold the edges of the lining under at the zip, pin, then sew. So that’s how to put in a zip. There’s no need to be scared of them any longer!